During 2007, the campaign by ABREA, the Brazilian association representing the asbestos-injured, has gone from strength to strength; in the last few months, new groups have been formed in São José dos Campos and Paraná. With the original 5 groups: in Osasco, Rio de Janeiro, São Caetano do Sul, Simes Filho and Poes, ABREA has now achieved a national presence in the country's asbestos debate. This year ABREA has been concentrating its efforts on raising awareness amongst consumers of the dangers they face from using asbestos-containing products. The overwhelming positive response to this public outreach program has been widely reported in the national media and local press. ABREA's highly imaginative campaigning style and successful lobbying are well illustrated by recent activities. On July 3, 2007, the Group organized events in Jacareí and São José dos Campos, the headquarters of one of Brazil's most important missile manufacturers. Recently, two cases of mesothelioma were diagnosed amongst workers from this company; both men were under 50 years old and had worked together in the same department at the factory in São José dos Campos. The July 3 demonstrations were held in the main public squares of both towns and were followed by a parade in Jacareí which ended with a minute's silence to remember local asbestos campaigner Silvane Dias Barrios who died of mesothelioma some weeks previously. 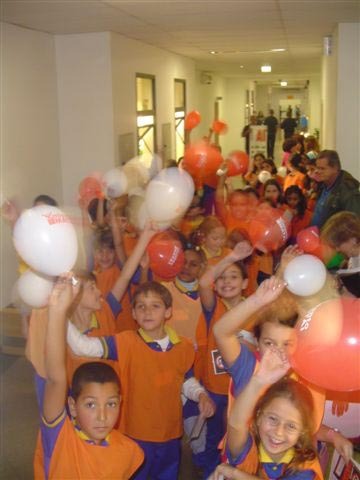 The words of ABREA's campaign slogan: Amianto Mata (Asbestos kills) were visible throughout the town on banners, posters, booklets, tee-shirts and thousands of balloons given away to local people. During the day, there were hearings on asbestos at the Jacareí and São José dos Campos Council Chambers. ABREA works closely with its supporters to lobby for an asbestos ban. A previous São Paulo State asbestos ban was annulled by a Supreme Court decision on the grounds that only the national government could legislate on matters relating to trade and mining. 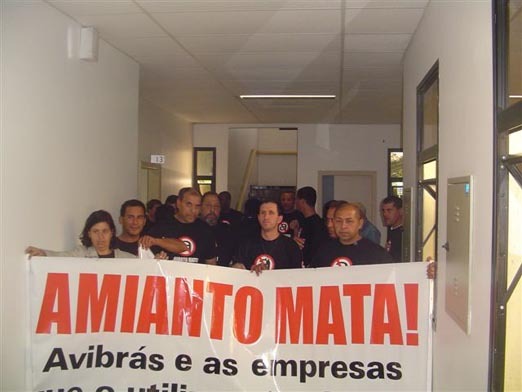 A new tactic is now being explored by bill number 384, presented on April 28, 2007 during the Workers Memorial Day celebrations by Marcos Martins, a Deputy to the State Government of São Paulo; this bill demands that the uses of asbestos be banned. Of course, if you prohibit the use of asbestos, the knock-on effect is that the manufacture and sale of products containing it are no longer profitable. Watch this space!